Kisschasey Posters is a subsidiary company, born from the creative design team - Kisschasey Creative. 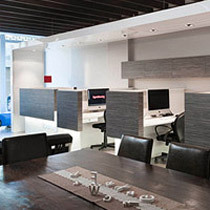 A highly reputable business with over 30 years in the design and print industries. Kisschasey Posters offers you a truly unique personalised poster range that come in a variety of designs and sizes, inspired by a passionate and creative team offering you a truly unique, high-end personal product that you would only get from a design agency, normally out of reach for individuals. That's when we were inspired to create Kisschasey Posters so we can share our truly unique design skills directly with you. We are a design and advertising agency with a difference. Having worked on corporate clients for many years, we thought we should have some fun and produce amazing personlised artwork for the general public. 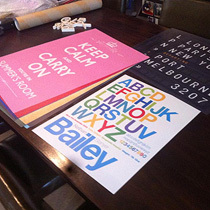 All posters are highly personalised and beautifully printed. The essence of the art piece is to give the customer a personal touch to their living environment, or as a great gift. Remember, as Dean says, let's get personal. With over 33 years graphic design experience, Dean is the business owner and creative force behind Kisschasey Posters. Dean is passionate about high quality design and typography and sets a high standard in customer service. In addition to the poster business, Dean is also the owner of branding agency Kisschasey and is Australia's most prolific logo and brand creator through LogoLoco. Having a keen eye for detail, she is passionate about making sure that each individual poster truly speaks if not shouts 'personal'. 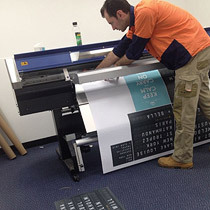 Trevor loves using his skills to give life to personalised posters for Kisschasey customers. Like everyone here at Kisschasey Posters, Trev really enjoys the high level of customer service and getting personal ( but not too personal ) with all the customers. We pride ourselves on the highest standard of customer service. We're here to help you - the client - get the result that you expect and demand. All Kisschasey Posters are designed and produced locally, with a real designers edge to create a fashionable statement and unique piece for the individual. After receiving your order, we get to work in our design studio. Our experienced design team pay attention to all the detail and prepare your poster for printing. All our posters are printed on high quality synthetic paper stock. It is 170 microns thick with a matte finish. A clear coat enabling a colourful and UV safe print. Posters are checked for print quality and then packaged into postage tubes for swift delivery world wide! Framing is also available upon request.